A new study has found that children exposed to cigarette smoke at home have lower levels of an enzyme that helps them respond to asthma treatment. 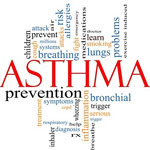 HDAC2 is required for steroids to exert their beneficial anti-inflammatory effects in asthma. "The mechanism we've identified makes children less sensitive to inhaled steroid treatment, so they suffer more symptoms and might have to take higher doses of steroids, which may lead to side effects," professor Peter Barnes FRS, from the National Heart and Lung Institute at Imperial College London, said.